I’m going out on a limb to say that I have easily served food to well over a thousand people through the years. I would even go so far as to say that is a conservative number because of all the event meals I have helped prepare. I know the secret to keeping people happy when it comes to food. It is really good fresh bread! Even better if it is still warm and comes with real butter that has honey, cinnamon or garlic in it. Human beings really do love the simple pleasures in life – even in the crazy modern world we live in. We love the Texas Roadhouse rolls and butter so I thought I would give you a “better than the restaurant” copycat to use all fall. After all, it is full on soup season now with the holiday baking extravaganza coming our way fast! I know bread making can bring up lots of questions. Make sure to leave a comment and I will try to help clear up any confusion. I really try hard to keep a close eye on emergency cooking questions, even on the holidays when I know you are cooking like crazy. Enjoy! Tools In This Post: This baby is a star in my kitchen! Bread, cinnamon rolls, dinner rolls, peach bread, tomato bread – you name it, this little white box has made it all! I love the durability and ease of use. This is an appliance worth the investment if you enjoy fresh bread. I never bake bread in it – bread machines are poor for that. But it makes the dough part easy and my bread projects take me just a few minutes. Trust me – we all need one! I think my Loaded Baked Potato Soup is the perfect dinner with these rolls. Enjoy! Turn the dough out onto a floured surface and divide and shape into 15 rolls as desired. I roll the dough out into a 14"x11" rectangle and cut it into equal squares. I fold each square in half and place in the pan to rise. Alternately rolls can be formed into round balls by tucking the edges of each piece of dough under. Place the formed rolls into the glass pan (3 rolls by 5 rolls) leaving some space between each roll. Brush the tops of the rolls with melted butter and cover with plastic wrap. Turn the oven on to 350 F for 1 minute. TURN THE OVEN OFF and place the pan of covered rolls inside. Let the rolls rise for 25 minutes. Remove pan from oven and preheat to 350 F.
Remove the plastic wrap and bake for 15-18 minutes in the preheated oven. Rolls are done when they are cooked through and lightly brown on the outside. Remove from the oven and brush again with melted butter. Serve immediately for the best flavor. Store leftover rolls in an airtight container. Use a fork to whip together the soft butter with honey and cinnamon. Serve at room temperature with the hot rolls. Store leftovers in the refrigerator. Total From Start to Finish: 2 hours and 30 minutes. If you don't have a bread machine, you can make the dough by hand or with a stand mixer. This set of directions will walk you through the process. In a large, microwave safe bowl: heat milk, and butter in the microwave for 30-60 seconds just until it is pleasantly warm to your finger. Whisk in sugar, salt, and yeast. Some lumps of butter may remain. Use a wooden spoon to stir in the remaining 2 1/2 cups of flour until a dough forms. Form the dough into a ball and place in a oiled mixing bowl. Turn dough to coat and cover loosely with plastic wrap. Set the bowl in a warm place until the dough has doubled, about 60 - 90 minutes. Turn the dough out onto a cutting board sprayed with Pam spray and divide and shape into 15 rolls as desired. I roll the dough out into a 14"x11" rectangle and cut it into equal squares. I fold each square in half and place in the pan to rise. Alternately rolls can be formed into round balls by tucking the edges of each piece of dough under. How would I make this recipe since I don’t own a bread machine but do own a new Kitchen Aid Professional 6 qt. bowl lift mixer with a ‘dough hook’. I love home made bread, but have never made it before so I don’t have a clue on how to do this without a machine. Thanks for any assistance you can offer me. Hi Carol! I’m so excited you are making bread for the first time! It is not too hard to do without a bread machine and a Kitchen Aid makes it a lot easier! I updated the post to give a printable set of instructions for making the rolls without a bread machine. Good luck baking! Let me know how it turns out! I think I need a bread maker now so I can make these rolls! They look so good! 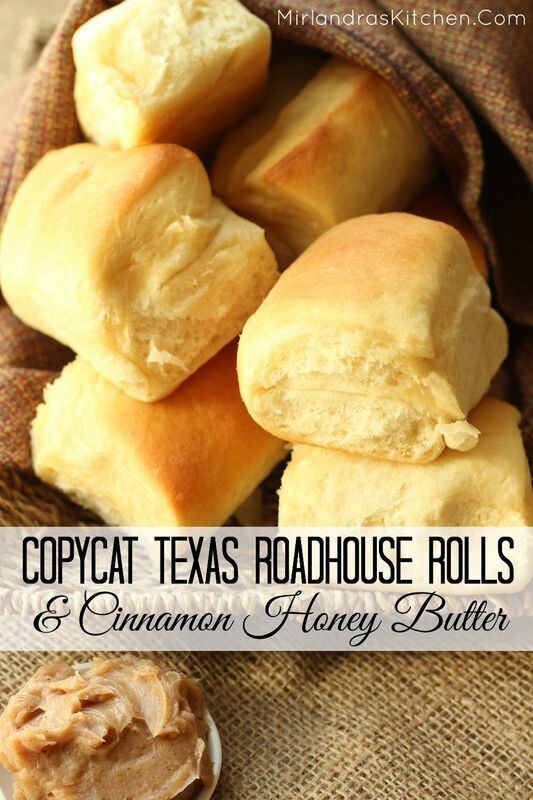 The honey butter seems super easy to make, too, and something I can make for more than just these rolls! Bread makers are wonderful things! Another reader asked me last night to give instructions for making the dough without a bread maker so I will be posting those today too. You are so right about that butter… Holy cow that butter! It really is something else again. Honestly, I could just about make it and jar it up for Christmas presents! I FEEL BREAD MACHINES ARE WAAAAY OVER RATED. EASIER, FASTER, ”BETTER” THE OLD FASHIONED WAY, IMO !!! I still love to bake bread the old fashioned way but I also have a two month old and a business and big, busy, wonderful life! I love having the option to spend five minutes to put stuff in and get great dough to work with. At the end of the day though I still love the feel of my hands in the dough so I could never just use the machine! I’ve got a neighbor who will the beating down my door if I tell her I made these 😀 We’re both obsessed! Can’t wait to try this! Thanks for posting this recipe. I’m a caterer and will definitely give these a try. Down south all of our cooking is from scratch. In my family we have quite a few of roll recipes but, I have never made one with brown sugar. I will let you know how they turned out! Oh I hope you liked them! I find that using brown sugar in bread gives it a hint of something a little bit different. I do that quite a bit in bread. I love baking bread. I don’t often have the time for it, but knuckle deep in a ball of bread dough is the best therapy I’ve found for whatever ails ya. You can bet when I have the time I’ll be trying these! Saving to my bread board. The pinterest kind, not the kneading kind. Oh yes! I was about 16 when I discovered how therapeutic baking (bread in particular could be). My father was quite surprised when bad days meant I baked cinnamon rolls 60 or more at a time! The neighbors thought it was wonderful! Thanks for pinning. Some of my guests did… It was really funny! I love my bread machine, it’s perfect for making dough. I used to have two and both would run every day. Fresh breads, dough, you name it I made it. Now I only have one but I make it work. ha. Love this recipe, nothing better than homemade dinner rolls. I have two also, though it does make me question my sanity… They are wonderful workhorse machines and so worth it! One of my favorite things in this world! These look fantastic! Thank you! Fresh bread is one of the great pleasures in life! My oh my!! Swoon! 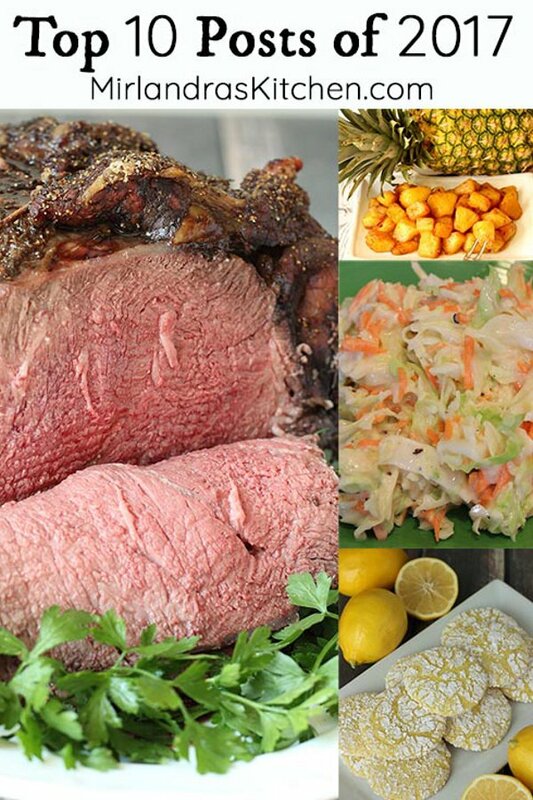 Thanks so much for sharing this luscious recipe with us at Weekend Potluck. You rock!!! Awe, thanks! You can’t have enough great bread! The directions say to turn the oven to 350 for 1 minute, put the rolls in to rise, then turn the oven off. My question is, do I preheat my oven until it reaches 350, then put the rolls in for a minute, or do I put the rolls in the oven while it’s preheating? I preheat it for one minute and turn it off no matter what temperature it has reached. If you put it in at 350 the yeast would die. Basically I’m just making the oven nice and cozy and then leaving the bread to rise. Some people have the perfect house temperature for getting bread to rise but if you are not an experienced bread baker it can get tricky. I find this is much more foolproof. 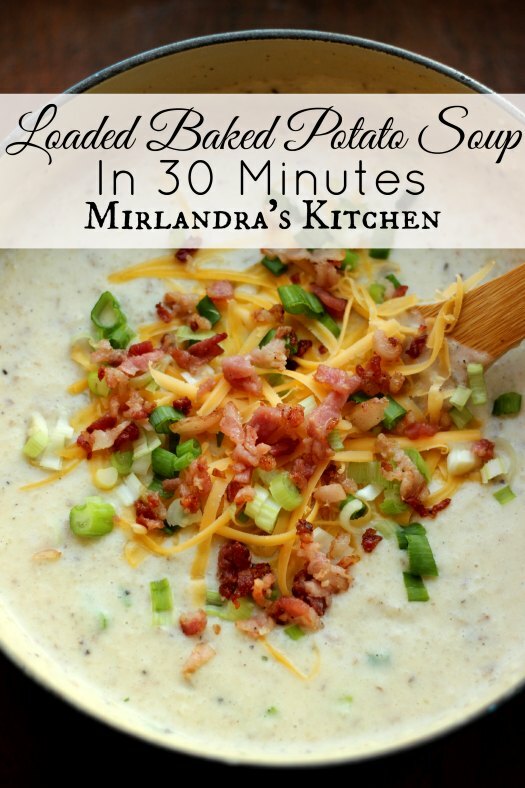 Thank you Mirlandra for posting this recipe. I made a batch last night and there are only two left tonight ! I am just making a double batch as we speak !! I did tweak the recipe a bit : I totally cut out the sugar and replaced with a nice tablespoon of honey, I used bread flour instead of AP and I added a cup of quick oats (I add oats to everything! ), I also replaced the butter with coconut oil. I find when it comes to bread rising because it can be quite cold here (I live in Scotland), I let the dough rise either at room temperature until the dough has doubled in size (and if it takes a couple of hours so be it) or sometimes I leave it overnight in the fridge to let it slowly prove. As you did I used the bread machine to make the dough – this is such a good piece of kitchen equipment to have ! unlike some other bread machines I’ve had I actually really like the bread that my current one makes. I had a wonderful time in Scotland some years back – your country is beautiful and full of the most wonderful people! Thank you for sharing your wonderful changes. I’m so glad they turned out well for you! It sounds positively delicious and now I’m curious to try it that way!!! I am cooking more and more with coconut oil these days as well as rubbing it on the entire family and using it to make cloth wipes for my son. It is pretty spectacular stuff! I am happy you were generous to post these recipes. I know my family will enjoy them. Have a nice day and a wonderful year of baking. Well thank you! I am so glad your family will enjoy the recipes. I love sharing things that we enjoy making here. What kind of breadmaker do you have? I’d love to buy one, but don’t want to spend the money unless I get a tired and true one. Sounds like the ones you have fit the bill! There is a link in the post to the Oster one. It is the exact one I have. I have owned two and loved both very much. I hope you enjoy it as much as we have! 35the wedding anniversary tonite and I will be making these. Is the 1/3 cup of brown sugar packed? Thanks! Wow- 35 years! That is wonderful. Congratulations. We are coming up on five years this summer – the time seems to have flown. Yes, the sugar is packed. Enjoy your evening with hour love! If you let them rise too long they can get kind of funky. I suggest baking them right after letting them rise and eating them piping hot. They are still very yummy after they cool down but hot they are really something special. I hope you love them! Oh my goodness! Thank you so much for the advice. Everyone LOVED them. Will be making them all the time. When you say fold them… Are you meaning like you are doing a pastry recipe for flakiness/lamination? I was surprised at that in this recipe. My first instinct is to just let them rise as I cut them. Is there a reason you’re folding them in half? Thanks! I just enjoy the way they come out – sort of with a natural spot to pull them in half. Shape them any way you enjoy. It all tastes great! I am making these tonight for dinner. Can’t wait to try them….and that wonderful butter. Will let you know results. Thanks for sharing! Happy baking!! Thanks, Mindy! The butter is addictive – sort of terrifyingly so! Hope it all turned out well for you! Thanks! You can’t go wrong with fresh rolls and good butter! Can you freeze the dough for later? I was hoping to make these for Thanksgiving but wondered how to make a triple batch with only one bread dough machine? Can I make the dough ahead of time and freeze until Thanksgiving morning? I think it might be possible but I’ve never done it. Some bread dough can be frozen but generally it is better to experiment and figure out if it can be done before you try it. For myself I would not experiment on the rolls for Christmas dinner without a trial batch. That being said, if you try it please come back and let us all know how it went! I would love to know. Merry Christmas and best of luck on your rolls! Hi there. I just tried this and my dough was super sticky didnt even look like dough. I also used gluten free flour not sure If that was the problem. But anyways the dough was so runny I couldn’t think of another solution but to add more than the 3 cups recommended. Hi Valerie, I’m sorry you had issues with the recipe. That is never fun! This recipe is meant for whole wheat flour and not gluten free mixes. Many gluten free mixes are different and can’t be substituted into recipes that were not created for the specific mix. I don’t do a lot of gluten free baking so I’m afraid I don’t have any great recipes or tips. I hope you find a roll recipe you love! This recipe is soooooooo good!! Everyone I’ve made it for, LOVES it! Thank you! I was wondering if it’s possible to make this into a load of bread instead of rolls? …like maybe just Sri knall the ingredients in the bread maker and have it make bread instead of just dough? Or have you tried it a different way? You can certainly make it into a loaf of bread! I don’t much like to bake bread in the bread machine because it does not produce the same quality but you could do it that way. The other option would be to use a bread pan or cast iron frying pan or even a pie pan to bake the bread in the oven. This recipe might give you some good ideas in that direction: https://www.mirlandraskitchen.com/cast-iron-skillet-bread-2/ I hope that helps! Thankfully it is not much slower! If you add about 15 minutes to the time that should do it. Enjoy those rolls and have a great Thanksgiving!